How will GP Equipment guru Dan get on? 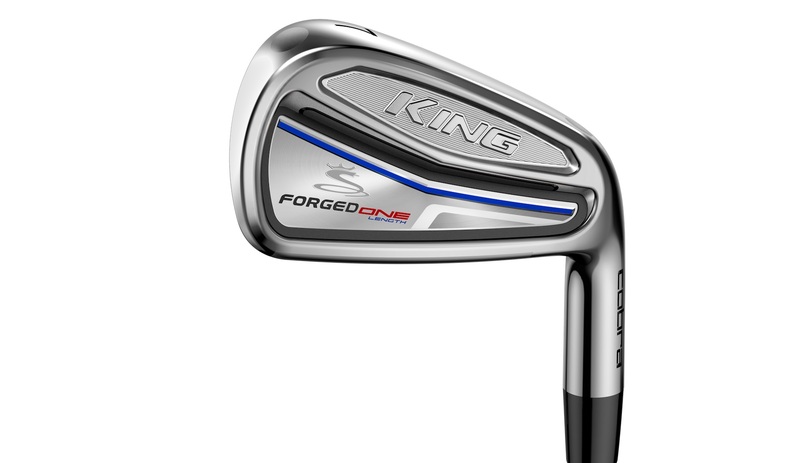 Before Christmas when the weather was hideous and golf was the last thing on my mind, Cobra sent a set of King Forged One Length irons to test. These are the clubs used by Bryson DeChambeau and I’ve committed to playing them for the season to see how they affect my golf. 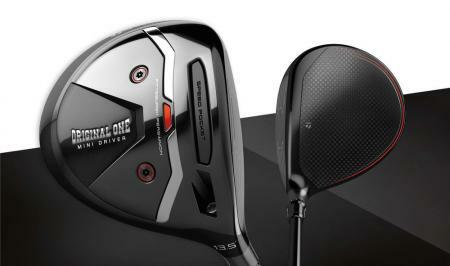 And while there are big differences, my early feedback is that they could be exactly what my golf is looking for. The idea behind Single Length golf clubs is simple. Every Iron is built at the same length. With the same lie angle. And the same weight. Rather than your clubs getting progressively shorter from three iron to PW, they stay the same length. One length equals one golf swing with every iron, which in theory should improve your consistency. 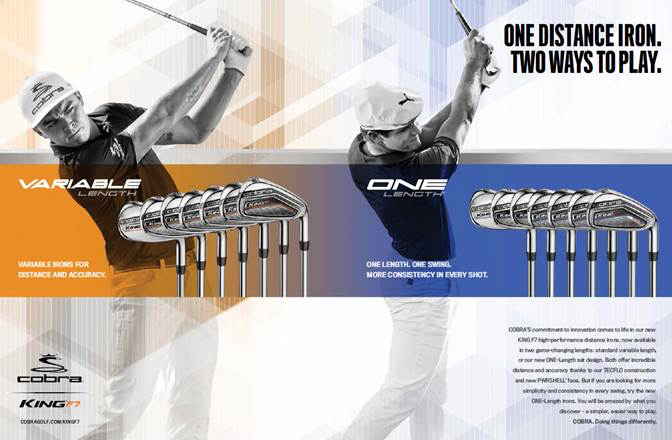 Cobra have decided to make every iron the same length as a seven iron. Which considering that is most golfers favourite club is a really good place to start. I’ve been playing the Forged One Length exclusively since they first got delivered from the FedEX man. And a lot of my initial findings have held true. Warming up with a couple of the King Forged One Length seven irons, it was exactly what you would expect. A forgiving forged iron with a soft feel and a powerful ball flight. It’s the type of golf club I prefer, it’s a great club, but it didn’t necessarily stand out from other designs. And all the initial feedback seems to ring true on the course. The four iron is easy to hit. On the course it flies a little low though, but we’ve never felt so good hitting low shots from under trees. From the five iron up it’s been great, and much easier to hit than a typical five iron. The wedges feel a little bit weird. Where a seven iron shaft in a five iron makes you feel like you’re swinging quick and compact like Nick Price, a long wedge makes the swing feel long and languid a la Ernie Els. It isn’t necessarily bad, it just takes a while to get used to. I drew the line at the GW, and after a few rounds pulled that out of the bag to replace it with a standard length gap wedge. Chipping seems odd at first, but as soon as get used to the longer shaft length it's easier. 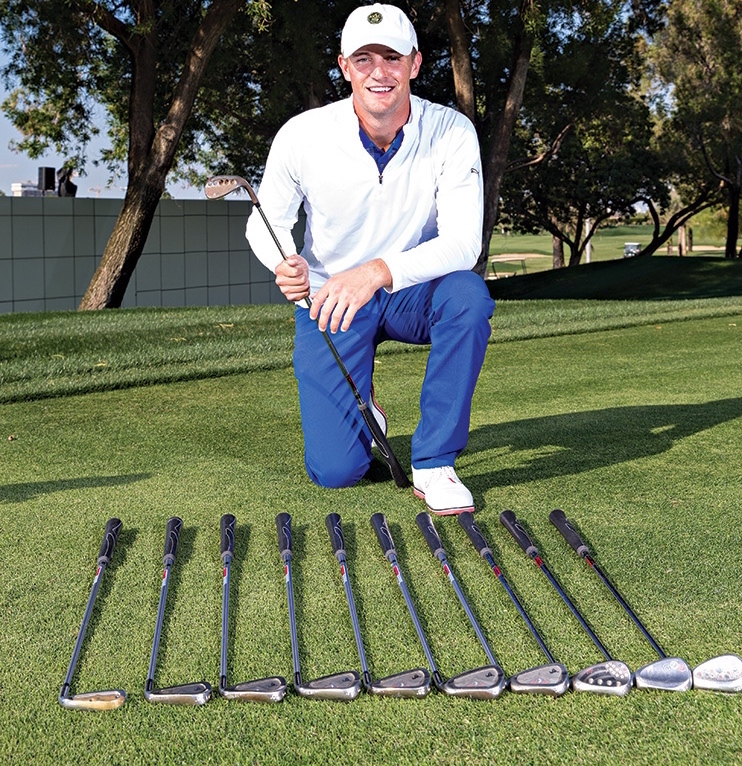 Simply grip to the same place on every club, and just switch iron to change the chip shot. I’ve found myself hitting low runners with the five as well as the typical seven irons and PW chip shots. Sloping lies are tricky. 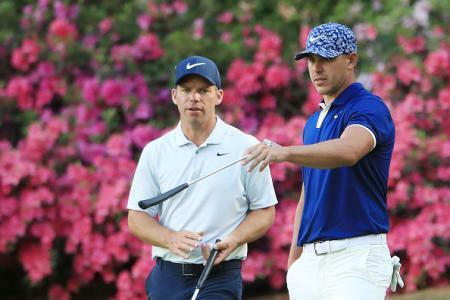 Whereas you might reach for club with less loft and a shorter when the balls above your feet to make sure you make decent contact, it suddenly feels very uncomfortable to swing. It makes a hard shot even harder. It’s all well and good eye balling shots, but what about some hard data? Testing the irons using a Foresight GC2 Launch Monitor at Gatwick Golf Studio, I compared them to my previous set of clubs.and everything Cobra have said about added consistency has proven to be true. Club head speed and distance was up on average with the PW, eight iron and five iron in the single Length set. While the four iron was shorter, the four in the comparable set was a stronger lofted driving iron. More importantly accuracy was better with the Cobra’s, seeing a big increase in accuracy over the standard set, the five iron having a seven yard tighter dispersion than the standard length set, with the pitching wedge being three yards tighter. I’m really impressed with these so far. They aren’t perfect. They haven’t been custom fit, which will hopefully be the next step. Those sorts of increase in a non fit set are fantastic. A set that is built to my specs? My scores could be dangerous. Jury is out on the four iron. I may try a Cobra utility of some sort to replace it to get my shots flying higher and landing softer. 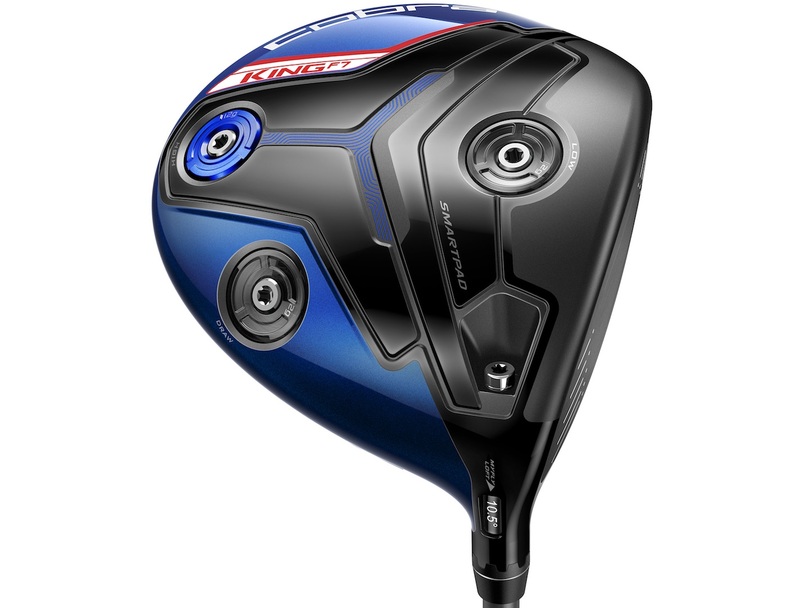 Cobra Connect F7 drivers with Arccos AI technology out now. 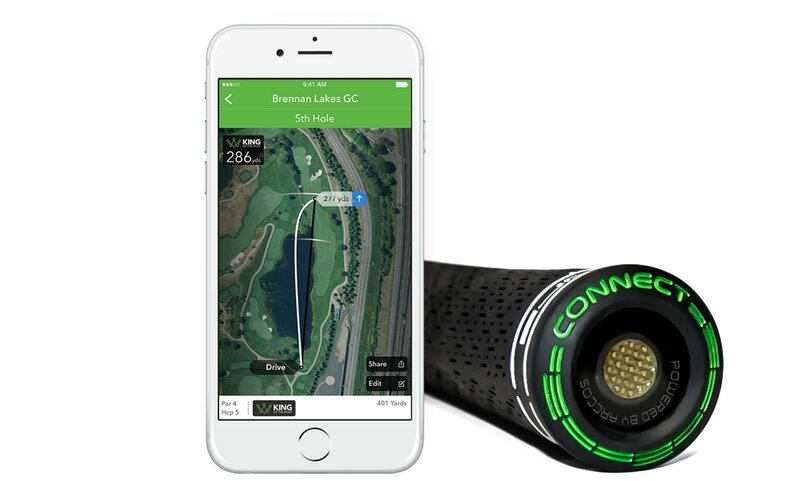 Monitor your drives every round! !